The Langelier Rockshelter No. 3 Site (23JE377) in Jefferson County is a dry rock shelter in the Meramec River drainage. 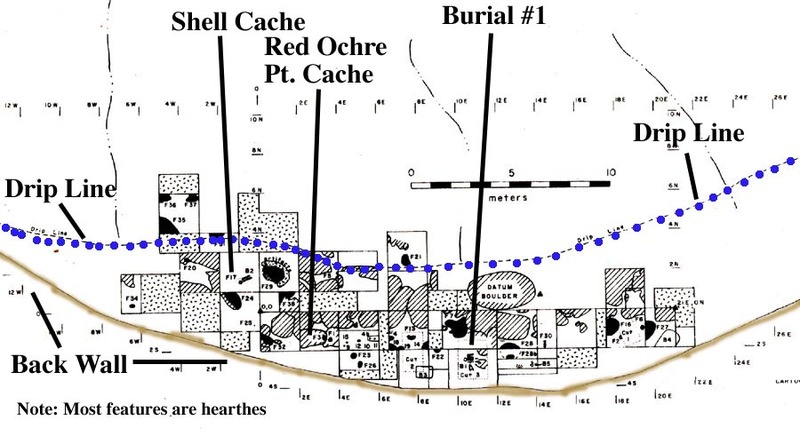 The site was excavated by the Washington University anthropological archaeologists as a field school beginning in 1973 and ending during 1977. The research was under the direction of Professor David L. Browman. This website is based upon a Master's thesis entitled Langelier Rockshelter 3 written by Eric Charles Fuller during 1993. Washington University students and faculty working in excavation units outside the entrance of Langelier Rockshelter. Photograph looking East and taken in May of 1976 by Professor David L. Browman. The site is situated on private property and is not open to visitors. Excavation grid at Langelier Rockshelter 3. Broken base of a heat treated lithic from the rockshelter. 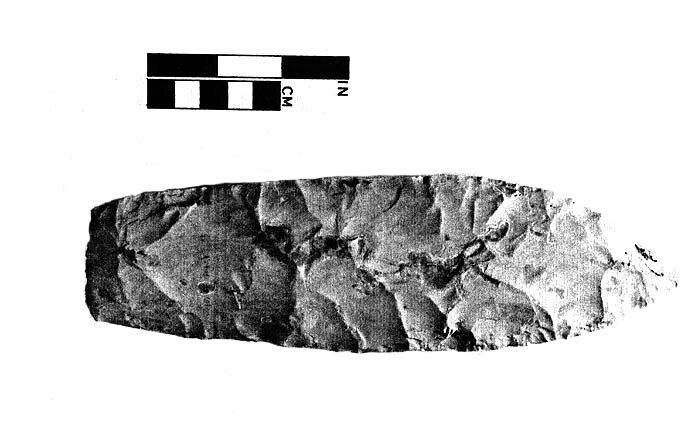 Chert blade from the rockshelter. 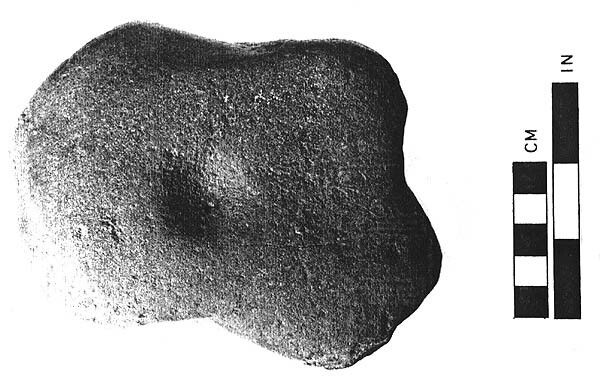 Late Woodland bodysherd with cordmarked exterior. 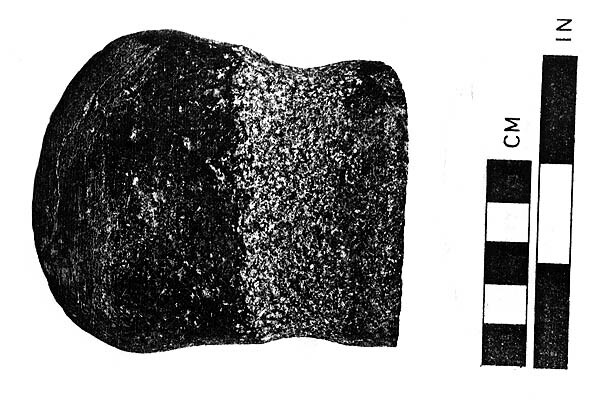 Specimen number 678 from 1976 excavation. 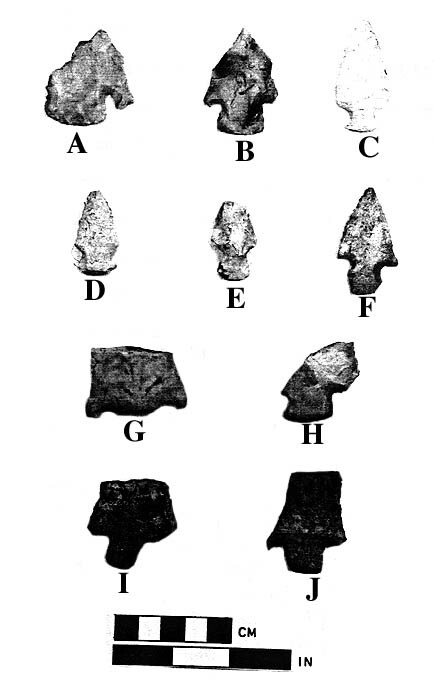 Late Archaic Period artifacts from Langelier Rockshelter 3. a-b) Afton, c) Table Rock Stemmed, d-e) Durst, f) Dyroff, g-j) Etley. Red Ochre Lanceolate (reg. no. 124.01). 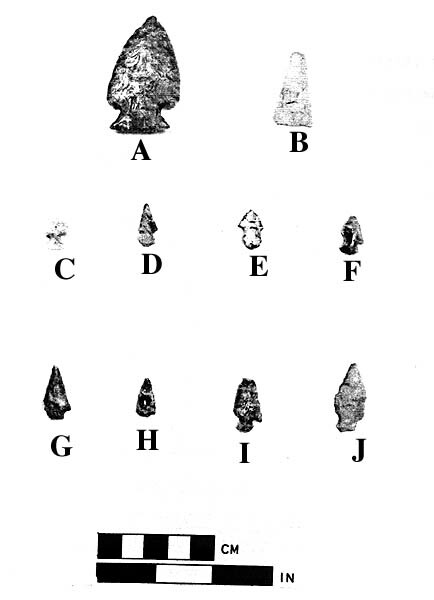 Late Archaic and Woodland Period artifacts a-c) Gary Contracting Stemmed, d-f) Karnak Stemmed. 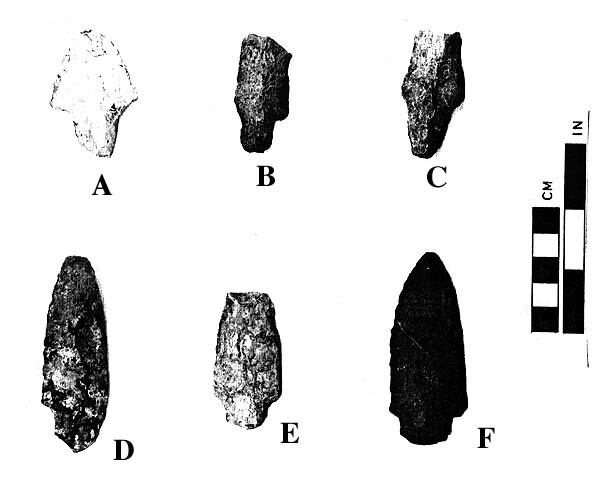 Late Woodland and Mississippian projectile points: a) Logan, b) Madison (Mississippian Triangular), c-j) Scallorn. 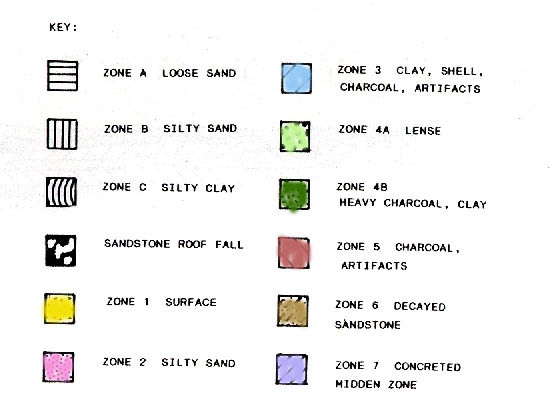 Pitted Anvilstone (reg. no. 527) similar to Late Archaic Period examples from other sites in Missouri. 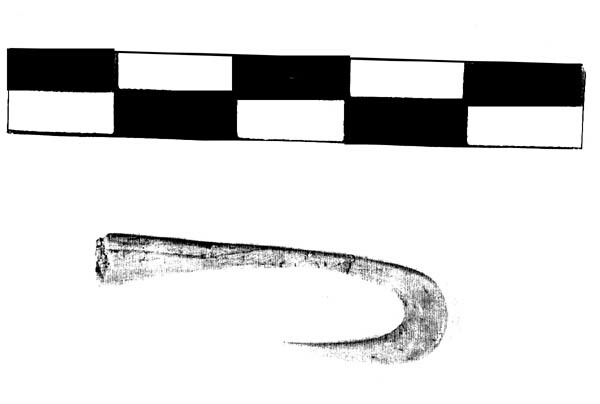 Full-grooved axe (reg. no. 283) similar to Middle Archaic Period examples from other sites in Missouri. 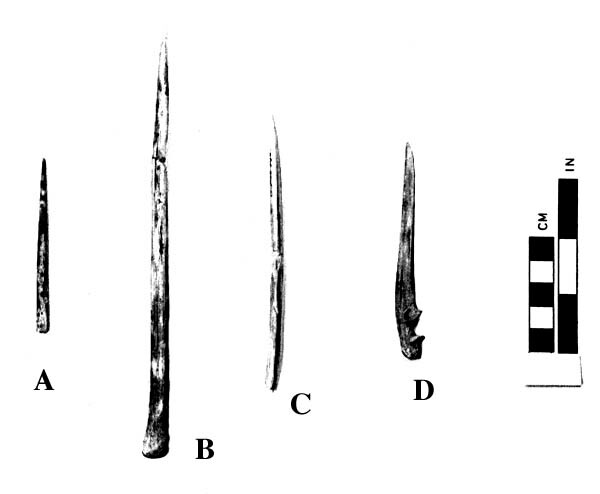 Bone pins: a) reg. no. 266, b) reg. no. 298, c) reg. no. 306, d) reg. no. 827. Delicately made fishhook (reg. no. 302) made from bone. Fish bones were recovered in several excavation units. 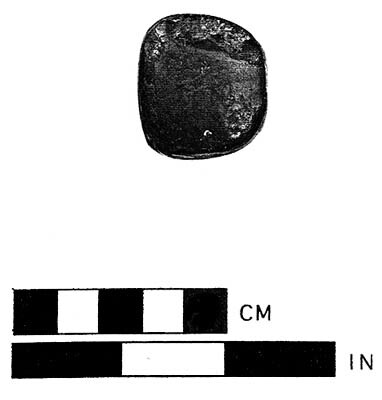 Ground hematite artifact (reg. no. 317). Click here if you want to see human skeletal remains from Langelier Rockshelter 3.